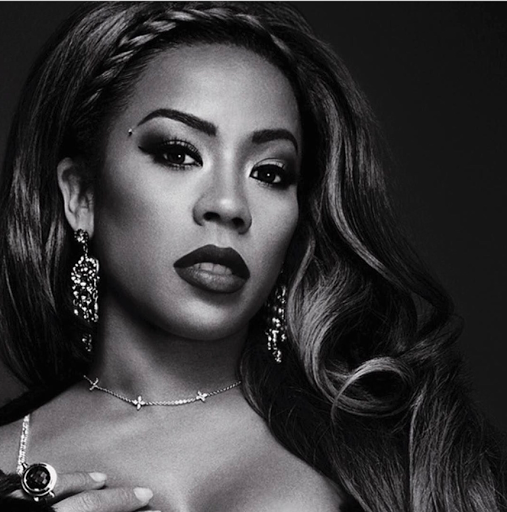 A few months ago rumors began to circulate the internet that Keyshia Cole would be joining the cast of Love & Hip-Hop: Hollywood. Fans immediately caught the news & began to question if it was indeed true. Cole addressed the rumors during an interview on The Breakfast Club & shot down the rumors stating that it was untrue & she would only do the show if the money was right. Well, it's finally officially & she is now apart of the growing franchise. 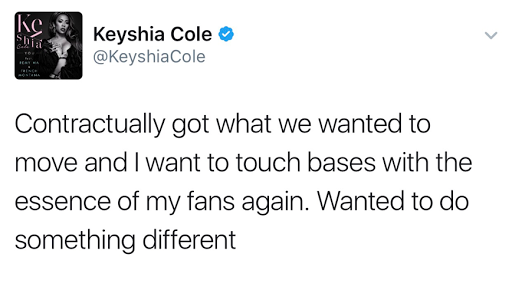 The Oakland singer made the announcement on Twitter to let her fans know that she would be on the show for it's upcoming season. She made it known that her biggest reason for wanting to do the show is because she wanted to connect with her fans again. While some may feel that the show is beneath her due to the fact that she's a well established music artist this is a great move for her. With the recent release of the Remy Ma & French Montana assisted single "You" & a soon to be released album it'll be great promotion. Having KC on television screens on a major network every week will definitely help to drive album sales into a successful lane & can bring additional endorsements & visibility to her brand.